The Steele Heights Hall is now Open for Rentals !! Looking for a hall rental in Edmonton? Why not our Steele Heights Community League Hall? With various size rooms/halls available, our location is great for weddings, anniversaries, reunions, birthdays, teams and groups, events and more. 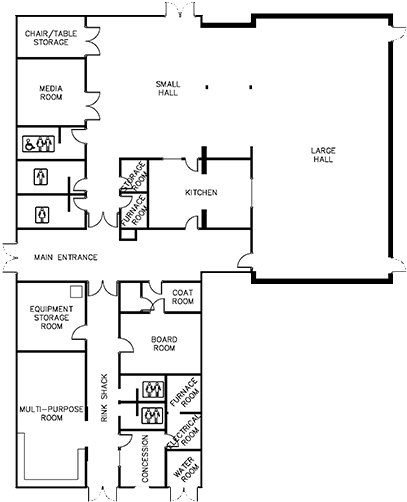 Click on an area of the hall outline below to see photo’s, features, and inquire about renting. If you know which area you would like to inquire about, please fill out the following form. Inquire about the small hall. This is the multi-purpose room available for rent.